Pink City of Rajasthan popularly known as the ‘City of Forts’ is both historically profound as well as visually outstanding. The traditions of Jaipur are reflected magnificently in the food prepared in the kitchen of Rajasthan. From the authentic Rajasthani cuisine to the multifarious international cuisines, Jaipur has it all. The food cravings of every foodie will be met here as the city is known for serving lip-smacking cuisines from all over the globe. The city cafes and restaurants dish out signature Rajasthani dishes like Ker Sangri, Lal Maasor Banjara Gosht, and Dal Bati Churma to Italian cuisines like Tiramisu, Danablu Aaranchini, Quesadillas. The variety of cuisines married with Indian spices give birth to unique dishes like sumptuous salads, pastas, appetizers, mocktails, shakes and much more. 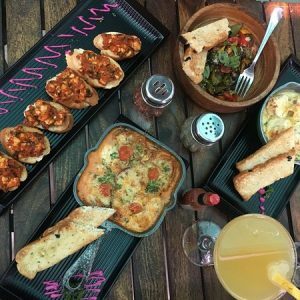 If you are a foodie at heart and soul, here are top 10 Italian cafes of Jaipur which serve the best international dishes. 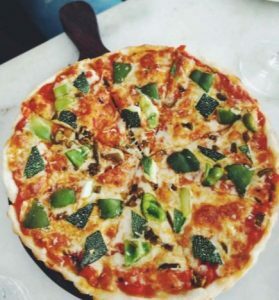 A simple roof top café situated on Sansar Chandra Road serves some of the best Italian cuisines like Wood Burnt Pizza, Fettuccine Fungi, Pasta, Farfalle, Crepes and Lasagne Bascaiola. The café being Jaipur’s first Italian café is a legend amongst the tourists. If you are looking for a quiet place to sit back and enjoy with your partner without burning a hole in your pocket then this is the place for you. The ultimate destination for all chocolate lovers! Nibs Café and Chocolataria situated in Hathroi, Gopalbari is a funky little place which is the perfect hangout for friends. 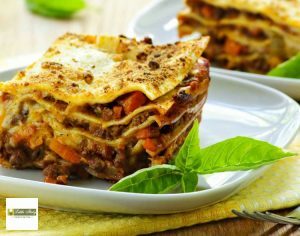 The budget-friendly café offers a range of Italian delicacies from pastas, Lasagnas, Sandwiches, Pizzas, Shakes to Chocolates, Wraps and a lot more. 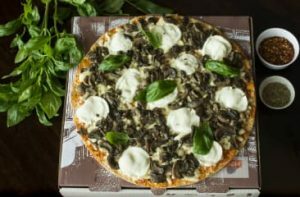 The must try foods of the cafes are Solah Mazza Pizza, Garlic Bread with Cheese, Angry Birds, Devils Grilled Sandwich, Waffles, Pot of Love and the Chocolate Pizza. The café is a hit amongst the youngsters for its reasonable rates, courteous staff, smooth service and good ambience. 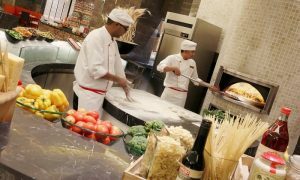 Located in C-scheme the café is a one-stop destination for Italian cuisine. The European themed interiors provide a great ambience for the customers. The café is ideal for those who want to get away from the hustle bustle of the city life. The café’s menu includes a wide range of cocktails such as Giggly Rose, Maharaja, Whiskey Sa and Marigold and Oreo shake. Delectable food items on the menu include Cheese Aranchini Balls, Peri Peri Chicken Skewers, Beer Batter Prawns with Garlic Aioli, Seafood Risotto and to top it all desserts such as Tiramisu, Apple Crumble and Chocolate Volcano. 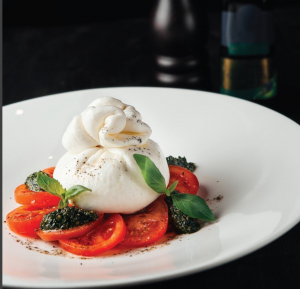 The place is simply a slice of heaven for those who love Italian cuisine. A warm and welcoming staff, great ambience, lip-smacking food makes it a must-visit spot. Location: Hotel Garden View, D 51 Subhash Marg, Near Ahinsa Circle, C-Scheme, Ashok, Nagar, Jaipur, Rajasthan 302001. 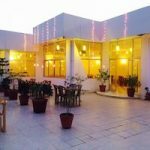 Located in Gopalbari, the café is known for serving authentic Italian dishes. 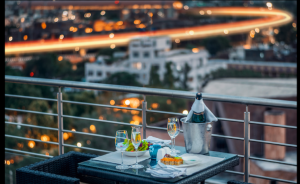 The rooftop dining arrangement provides a mesmerising view of the Aravalli hills and the city. 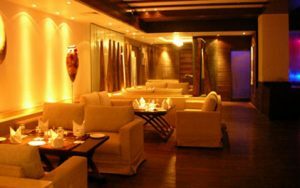 The nightlife, availability of hookah paired with the delicious food is what makes the café a must visit. 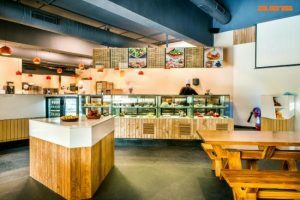 The café serves Italian delicacies like – Falafel Panini, Primavera pizza, Fried Mozzarella Stick with Marinara Sauce, Arancini, Quattro Formmagio, Eggplant Parmigianino, Potato Au Gratin and Blueberry cheesecake apart. Other than this, an exotic range of drinks such as Oreo Shake, Dante Alighieri Chianti and Villa Fassini Toscana are also highlight of the menu. The friendly staff and fast service is what keeps the people coming back for more. 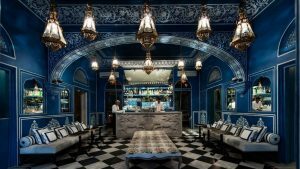 Bar Palladio known as the blue heaven is an ode to Italian style and cuisine, viewed through the prism of a Mughal dream world. 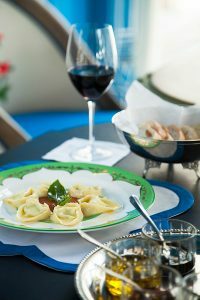 The place is popular for serving Italian cuisine such as such as Spinach Gazpacho, Instalata Caprese, Mediterranean Salad, Pasta Al Giorno along with beverages such as Napolitano, Guillermo and Caffe Aeraglio. 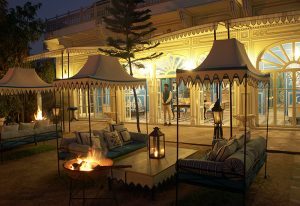 Bar Palladio is located within a daringly restored garden belvedere in the historic Narain Niwas Palace. The blue and white themed interiors paired with wandering Peacocks and luscious green gardens make Bar Palladio the perfect choice for your next romantic date with your partner. Situated in C-scheme, the place is known for serving Italian delicacies with an Indian twist. The restaurant is popular for unique recipes such as – Fungi Trifolati, Caprese, Risotto al Forno, Nachos, Manali Pizza, Chocolate Bomb, Lasagne Napoletana, and Ravioli Pasta. Refreshing beverages such as Crimson Tide, Italian Bubbler, Magic Spritzer, Cabernet Cobbler and Sangria are perfect thirst quenchers. The classy ambience, impeccable service and the delectable flavours of Italian food makes ‘Little Itali’ a foodie’s paradise. 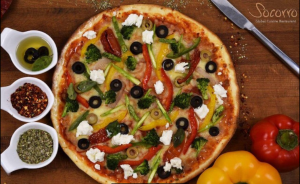 Located in the premises of Hotel Clarks Amer in Malviya Nagar, Zolocrust is popular for Italian cuisine and desserts. 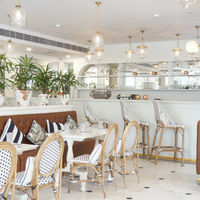 The cafe serves delicacies such as Pesto Margerita Pizza, Noir chocolate Pizza, Croissant, Bagel, Grilled vegetable Panini, Quinoa salad, candied almond and blue cheese salad, Tiramisu, Gianduja Chocolate Marquise along with beverages such as Chimp Berry, Lychikiri, Fizze iced tea, Virgin Mojito. Zolocrust is the city’s only café that is open for 24 hours making it the best choice for satisfying late night cravings. The open kitchen concept of Zolocrust is not just delight for your stomach but also a treat for the eyes. The café’s display window is adorned with colourful and hand-drawn paper cups. Zolocrust makes use of organic, fresh and imported ingredients to serve their customers with the best. 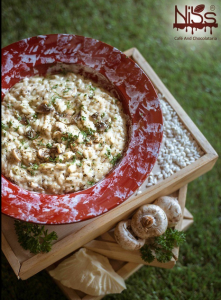 Situated in Bani Park, the rooftop dining restaurant is known for serving some of the best signature Italian dishes. 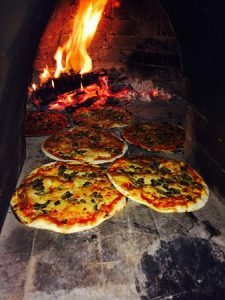 The popular cuisines served are Pizza a la Napolitana with Basil Sauce, Lasagna A La Verdure, Tiramisu, Aglio Olio Pasta, Buschetta Ala Pomodora, Funghi Trifolati, Pollo Ala Rosemarino along with beverages such as Cosmopolitan, Cran Cooler, Whiskey Sour. The prime location, classy ambience and authentic flavours is what makes the place a perfect dining option for those wanting to spend some quality time with their dear ones. 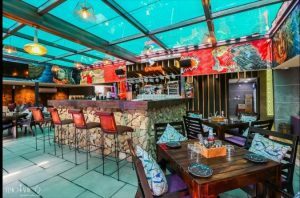 Located in C-Scheme, the restro-bar is an old engine transformed into a restaurant with a rustic Victorian vibe. 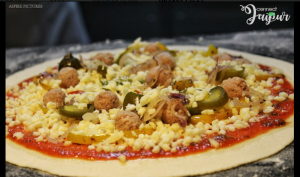 The restaurant is popular for serving dishes such as Manakish pizza, Capricisso pizza, Spaghetti with minced mutton, Pitta and hummus platter. Steam also offer a wide range of spirits, cocktails and mocktails like Johnnie Ginger, Summer Punch, Sparkling Summer, Red Wine Sangria. ‘Steam’ is a perfect blend of class and style. The place is best suited for those who love to dine in luxury. Located in Sitapura, ‘Socorro’ is known for its hospitality and the delicious Italian cuisine that they serve. 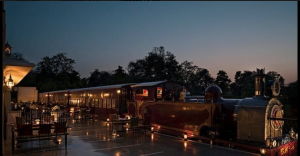 The place is popular for their buffet meals which include a range of authentic Italian dishes such as Tiramisu, Rustic Grilled Panini Sandwich, Risotto with Mushroom, Farfalle, Poh Pia Thord along with beverages such as Speyside, Single malt, Islay, Tennessee. The place is best suited for family dinners.